Whether you’re a hopeful homeowner or looking for new property to rent, moving house can get quite expensive if not planned properly. The last thing you want to do is make the stress of moving house one hundred times worse by completely overspending and having no money left to relax with after the hard work of moving. To avoid this, ensure you read over these easy steps to making moving house cheaper. When moving house, there is no such thing as too much planning, especially when it comes to how much money you’ll be spending and on what. The best way to do this is make a list of every possible expense of moving house, such as the price of a moving van, and the packing materials, and decide an estimate of how much you will spend on each expense. It’s always best to add an extra 10-15% of the overall total on top, just in case an extra expense arises that you didn’t plan for, but other than that you must stick to the budget, or you’’ end up spending hundreds of dollars more than you were meant to. Whether you are looking for an affordable studio apartment to rent or a charming family home, you need to find a house, which obviously is the main expense of moving. Don’t be put off if you can’t find exactly what you’re looking for, as long as you have some time, and have budgeted in the expense, of course; you could always settle for a bit of a fixer upper and make the place up how you like it. Some properties even provide you with a decorating grant, if the home is a little worse for wear, which could save you a lot of money. As well as shopping around to find the best deals on moving vans, it’s also always a good idea to book them in advance, as, more often than not, they will be offered at a discounted rate if the company has plenty of notice. Movers are your new best friend! Although this may seem to be the same step as above, it isn’t. Moving vans often come with men that will help you physically move your belongings out of your old house, into the van, and then back into your new house, rather than you do it yourself. Simply renting a van alone, and having the help of a few friends and family members help with the lifting and moving, would often be a cheaper option, that could potentially save you a good chunk of cash. It’s simple, the more things you need to move, the more expensive moving is going to be, as you’ll either require more vans or more trips back and forth to your new property. Therefore, it’s easier to simply get rid of anything you no longer use or don’t need, as they’ll only take up room in the van unnecessarily. Try selling anything you’re getting rid of (as long as it’s not complete junk, of course) on the internet or a yard sale, and get yourself some pocket money to enjoy once the stress of moving is over and done with. Believe it or not, people often spend out ridiculous amounts of money on new boxes, when it simply isn’t needed. Instead, ask any family or friends that have recently moved house if they have any boxes to spare. Many shops also have an extensive collection of cardboard boxes in the back too, that are simply awaiting being recycled. Many things other than cardboard boxes can be used to transport your belongings to your new home, such as laundry baskets, suitcases, and trash cans (just make sure it’s clean before putting anything in it). Things such as towels, blankets, and various articles of clothing could also make useful cushioning and wrapping for your belongings. Newspaper is also a useful tool, as long as it’s print can’t be transferred to anything particularly delicate. Many people prefer to use a packing company when moving house, as they see it as less stress on their part, and they are usually incredibly organised, however, such businesses can get quite pricey, which isn’t something you can always afford. If this is the case, and you are in a situation where you need to pack yourself, the last thing you want to do is start packing boxes with no sort of plan or organisation. What you need to do is not only pack room by room of your old house, but also your new house - If there’s anything that will be going in a different room in your new house, pack it in a box of things for that room, rather than a box of thing for the room it’s currently residing, which will make unpacking a million times easier. As I’ve already mention, for some more worse for wear properties you are offered a decorating grant to get you started in your new home, however, this isn’t always the case. In this instance, you may have the temptation to impulse buy new furnishings, wallpaper, or crockery. You must avoid this at all costs. The initial rush that you feel from moving house and making it up to look like your favourite album on Pinterest will be ruined when you look at your bank statement and realise just how much you spent. Instead of doing this, plan to redecorate a room or two each month, which will turn out to be much more financially beneficial, and will spread out the decorating process and cause you less stress in the long run, as you won't be trying to do every room at once. These simple steps will save you not only the stress of overspending and struggling financially until your next payday; they will also save you more than enough money for a celebratory glass of fizz and a takeaway to relax in your lovely new home. Getting your first credit card is a defining moment in your life. For many people, it marks the point where they begin to truly feel like an adult. Despite the fact that many of us assume that we will sign up for a credit card as soon as we are old enough, surprisingly few enough understand how they work before obtaining one. Credit cards offer a greater degree of freedom than a debit card, which is what most of us will have experience with, but this extra freedom comes at a price; it requires financially responsible behavior which many young people find themselves unprepared for in the beginning. A credit card looks just like a debit card and works in a similar way in terms of how one uses it. 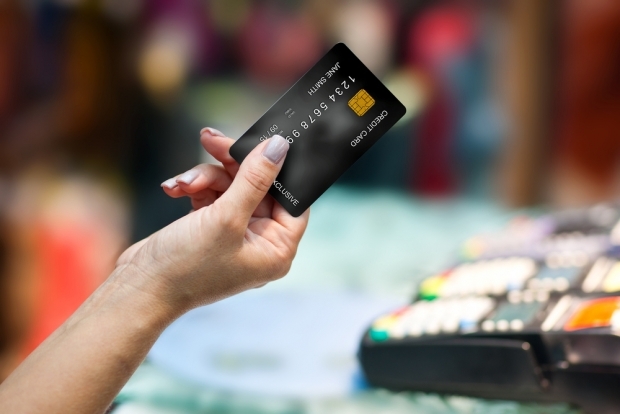 In shops, credit cards are either swiped through a machine, inserted so that a PIN number can be used to verify the purchase, or if the card supports near field communication (NFC), it can simply be waved near a reader in order to be used. Rather than removing funds from a linked bank account, and thus requiring you to have the balance available like a debit card does, a credit card works more like a small 30-day loan. The cost of the items or services you use will be added up and at the end of each billing period (usually 30 days) the outstanding balance is paid. If payments are late or incomplete, then interest may be charged. A credit card offers numerous benefits, the most attractive one is the ability to spend money you don’t yet have. Most people are paid on a monthly basis and so as long as their total purchases don’t exceed their earnings they don’t have to worry about doing all their shopping on or around payday. Credit cards are also beneficial because they can be used in an emergency. In fact, a growing number of people keep a credit card with them that they only use when no other options are available, ensuring that there are few, if any bills for the card but that it is there, ready to be used should it be required. 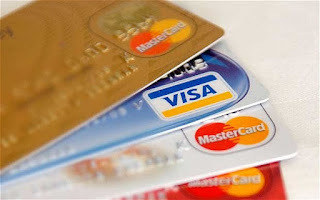 Look online for credit card tips to find out how to make the most of your credit card. Grace period is a term that is probably unfamiliar to those who haven’t previously had any financial dealings. The grace period is essentially a deadline extension; let’s say that your billing cycle is every 30 days with a 21 day grace period. This means that, while your bill is due every 30 days, if at the end of the billing cycle you are only able to pay some of the money you owe, then the credit card issuer will allow you a further twenty-one days to pay before any penalties are charged. You should always plan to pay your bill off on time so that the grace period can act as a safety net if there is an emergency. Signing up for your first credit card is a financially liberating experience and the first taste many younger people have of adult responsibility. Remember though; if you don’t think a credit card is suitable for you, then opt for a debit card instead as the consequences of defaulting on payments can be severe. Fires burning only about 35-40 miles from us. Smokey air, ash falling. Road out of town closed. So we had to fill a 20 lb propane tank today ( 4.7 gallons). Gerry said it should be about $20. Well, in the USA when we've been they gauge it and you pay for what you use. Here in our hometown, your paying a set price, so you best be sure it's empty or near empty before you have it filled. So we filled tank and guy says $27! I said "what"?? Here it's $5.74 CDN a gallon! That same tank in the USA would have only costed us $11.67 CDN. So in Canada more than double! Looking for a way to save money on your eye glasses? Well, buying eye glasses from the local optometrist can set you back hundreds of dollars. Money you just might not have! 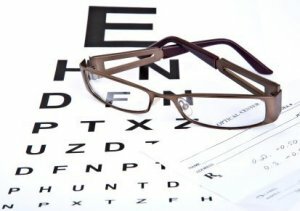 With GlassesUSA.com though you can shop prescription glasses at home, online, with great discount savings and free shipping & returns! Gerry and my mom, had the opportunity to see for themselves how easy it was to order prescription glasses from home. Of course you do need to get your prescription from your optometrist, but where you buy your glasses is completely up to you! 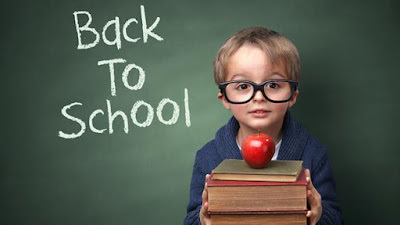 A complete pair of glasses (frames + lenses) starts at $48 and free prescription lenses are included with every frame. Gerry said his glasses were very comfortable and a great fit. He chose ones with a plastic frame which will be good for him for working more in the yard and in the shop- and outdoors- where he spends 75% of his day! Gerry chose the Port style in black. There too was such a huge selection on their site. (Over 2,500 styles): in-house brands (Muse, Amelia E.), designer brands (ray-ban, Oakley, tom ford, Chloe, Armani, Adidas etc. ), a wide variety of frame styles (full rim, half-rim, rimless, different materials), sports glasses, safety glasses, kids glasses, prescription or non-prescription sunglasses, and more! Where do you start?? Mom said she was pleased with how fast they arrived. Fit perfect and good quality. Love picking out glasses with simplified online ability. Mom's were Scottsdale. She loves the new glasses although found looking at the online image, the frames looked more green but her actual glasses were more black with a tinge of green in certain ways the light hit it. Although all in all a great pair of glasses- great style and comfortable fit. Thank you GlassesUSA.com! This was a wonderful shopping and receiving experience for both wearers! 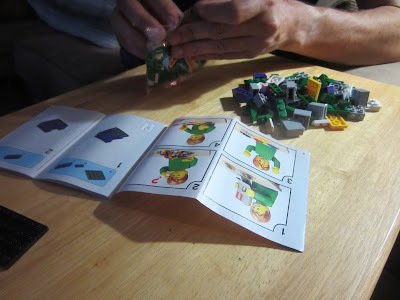 I was very excited to have the opportunity to review some of the new LEGO BrickHeadz – I have loved LEGO for as long as I can remember and still build and collect sets to this day! 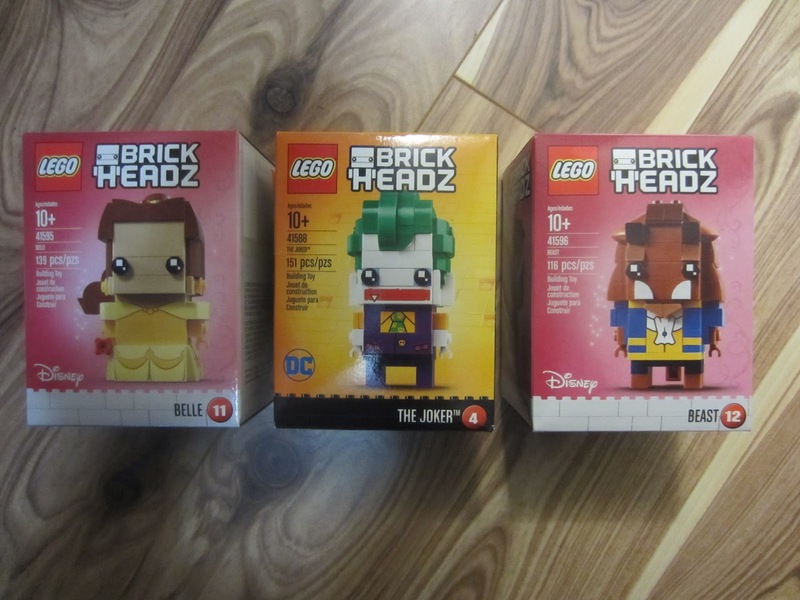 LEGO BrickHeadz sets bring you a brand new way to collect, build and display. 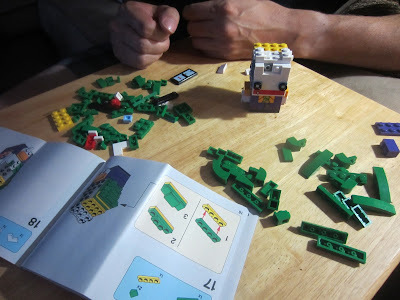 They are a unique, affordable and fun building toy, perfect for all ages. Like all LEGO sets, the instructions are easy to follow - It took me about an hour to build The Joker. 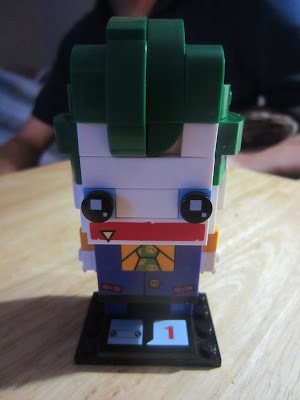 I would definitely love to see more variety of BrickHeadz characters in the future. 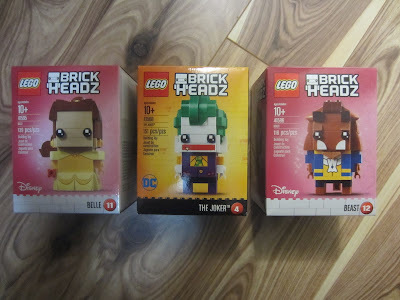 Overall, I really enjoyed the new LEGO BrickHeadz and recommend them for any LEGO fans in your life! 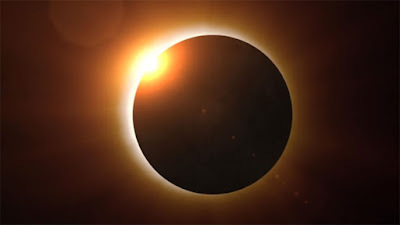 Back in 1979 I did a school project on the solar eclipse- but I'm not sure I remember that I did look at it in the sky or it was only a project I did. Today we had heard we might have been able to see it for 11:40 am, so we were outside trying to see something. It was cloudy so we got alot of cloud blocking it. We used Gerry's welding mask to view it without harming our eyes, and seemed we could see a part of it at one point that appeared to have one corner obscured. It was fun still whether we saw something or not- to be able to take part in this event. Thank you to everyone who took time to enter. Investments are often seen as expensive things. For instance, investing in a house or an apartment to sell can cost you an incredible amount of money. Not only that, but it takes a lot of time and dedication in order to fully utilise your investments, and there’s often a need for an external service to help you such as a financial manager and it may incur fees. As a result, investing can be costly and unless you’re willing to put in time, money and effort to make it work, your investment only serves to deepen the pockets of the rich and wealthy while at the same time making yourself bankrupt. It’s not the most promising idea, which is why we need to look towards cheaper methods to build up your experience with investing. One of the most important concepts in investing is cutting your losses. It’s also an important idea in any kind of business, but the general rule of thumb is that you only invest in things that are a safe bet and you learn to cut your losses when something is taking a bad turn. It’s a delicate balancing act, sadly, because you need to consider the possibility that something is simply experiencing a slight drop in value. These are known as volatile markets and the price of something can fluctuate wildly during the day. It’s important that you understand the difference between cutting losses and also holding yourself back from a panic sale. This only comes with experience and knowledge in an industry, which is why you need to practice and learn to tell the signs. It’s not a skill that can simply be taught, which is why it’s recommended to start slow with your investments and work your way up when you can handle both failure and losses. If you plan to invest, then it’s a good idea to research. It’s possible to make money with Bitcoin, day trading, Forex and even private loans, but you have to understand their concepts, how they work and learn how to get into those markets in the first place. Bitcoins, for instance, are a type of cryptocurrency that doesn’t require a license or much setup time at all. It’s also something that can be traded over a long period of time or just a short one, making it a fantastic investment to practice with at both low and high values. With enough practice and skill, you can make a living and turn trading and investing into a day job. However, it’s important to take it slow and easy so you can learn as you go along. Don’t make the mistake of trying to jump into the deep end with investments. Do your research, learn the jargon and give yourself some time to grow. Don’t expect huge profits within the first month, and expect to lose money more than you gain a profit as you build up the experience needed to be an investor. To enter, homeowners can visit http://www.belgard.com/smores and submit their favorite s’mores recipe or story for a chance to win a Belgard Fire Pit Kit. 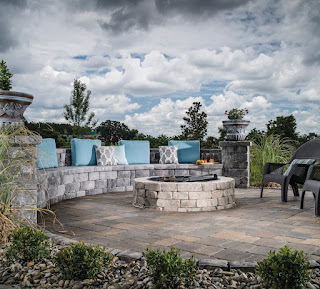 Belgard’s fire pit kits feature a clean, contemporary look, is easy to maintain and create a natural space for friends and family to congregate. The winner of the National S’mores Day giveaway will receive a fire pit to enhance their outdoor living space this Fall. Belgard, part of Oldcastle® Architectural, offers a complete collection of paver and wall products for outdoor living spaces, walkways, driveways, parking areas and retaining walls. Available in a range of styles, premium Belgard products have been found in America’s finest homes and award-winning commercial and retail properties since 1995. For more information or a complimentary Idea Book, visit Belgard.com or call 1-877-Belgard (235-4273). Find more inspiring outdoor space ideas at Facebook.com/BelgardHardscapes. The Dynasteam is such an interesting and innovative product. 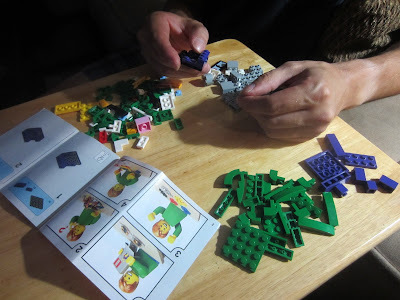 We had a chance to review one. One of the many thing it does is it allows you to control weeds around your home with simply water; and no harsh chemicals or pesticides. 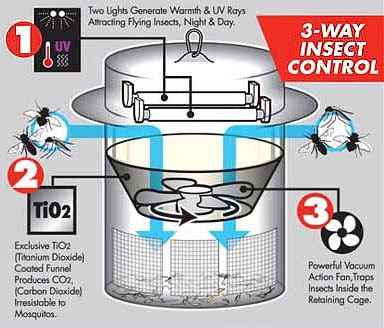 The Dynamsteam requires only requires water that will heat up to 300F, it gets pressurized in the unit and it will tell you when it’s ready to use, and so simple in fact that it allows you to zap your weeds with a 5 second blast of steam; the manufacture says it’s easier to use than an iron and certain this is very true. The Dyansteam comes with three tools making it ideal to kill weeds; the Triple Root Spikes allows you to penetrate the soil around the weed and steam it dead at the root, while the Speed Weeding cone is great for large areas and lastly, the Power Jet Tip is great for walkways, patio stones and sidewalks where the weeks mysteriously like to grow. Gerry is really enjoying the Dynasteam, he’s managed to rid our lawn of alot of weeds. Once they get zapped with a blast of steam it takes about 24 to 48 hrs for them to die; it’s just that easy. But we need to mention that the Dynasteam can also be used for all indoor and outdoor cleaning projects as there is an Optional Accessory Kit that has attachments that will clean windows, metal objects like stoves and BBQ grills, flooring and so much more- even steaming your clothes to get those wrinkles out! The Dynasteam is really an amazing product that leaves your exterior and interior spotless, weed free and best of all safe and non toxic. Despite being thrifty, I still love quality products- and found that to be true with the Snuggle-Pedic Bamboo Pillow. I love bamboo made products and was also in need of a new pillow , so after my $5 Walmart pillow started giving me some neck issues, I looked elsewhere for a more comfortable pillow.A pillow that offered more for a good night's rest, long term. The Snuggle-Pedic Bamboo Pillow is what I found that really can't be beat. It's super comfy! It comes shrink wrapped flat that when you get it your not sure what to make of it, then you just unwrap, and throw in the dryer to fluff it up and it's amazing how nice and fluffy it gets. And worth repeating- it is soo comfy. And because it conforms to your neck and head, it's great for all sleepers- side, back, etc! MADE IN USA CERTIFIED Bed Manufacturer Using Eco-Friendly Biogreen® & Certipur-US Certified Foam. NOTE:ONLY SNUGGLE-PEDIC® PRODUCTS SOLD BY RELIEF-MART, INC. ARE GUARANTEED GENUINE AND WILL BE BACKED BY THEIR LEADING 20-YEAR WARRANTY, 90-NIGHT SLEEP TRIAL, AND FREE PERSONAL CUSTOMIZATION IF UNSATISFIED! You simply can't beat a guarantee like that. In addition to the adjustable bamboo pillow, the Snuggle-Pedic brand also sells a body pillow, memory foam mattress topper, and mattresses. Kellogg Canada has begun a contest promotion in support of its Pringles brand of potato chips. 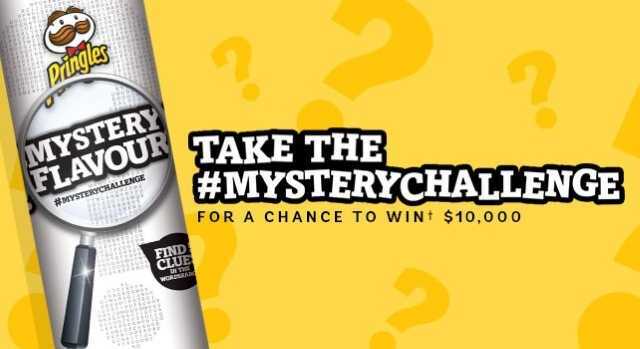 The contest, called "Mystery Challenge," invites consumers to identify a new flavour of Pringles currently on sale for a limited time in specially-marked packages. Clues to the correct answer will be posted via Facebook and Twitter each week until Aug. 21. Participants can also submit their guesses via these social media pages. Consumers who correctly identify the flavour will be entered into a draw for $10,000. The contest will end on Dec. 31. Gerry and I have tried these and love the Mystery Pringles.. and our guess based on clues thus far is a ........ Hey! We can't tell you our guess but we can say we have entered our guesses on their Facebook page with other entrants based on our taste buds and clues . 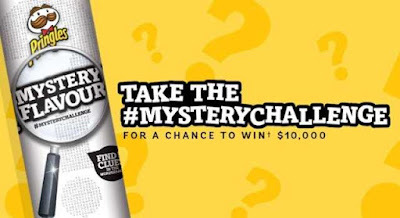 It's fun trying new products but even more fun has been how Pringles has made it a game to guess the Mystery Flavour. 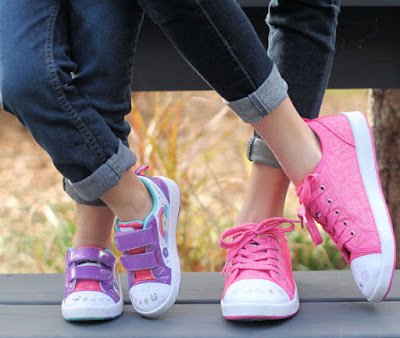 These are currently on sale for a limited time in specially-marked packages. Be sure to grab yourself a can or two and play along! My right shoulder was always getting sore when using my lap top mouse at the RV dinette, so he came up with a way to make a tray table for it, that tucks up under the table when not in use, and comes down when I do need it!